Do you pitch in Little League? In this article, you'll learn what pitchers can do to help keep their arm healthy and pain-free this season. 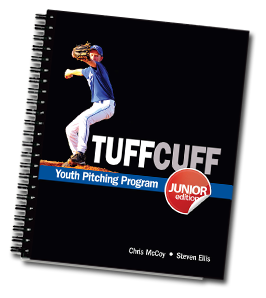 Pitchers will learn how to prevent Little League pitching arm injuries and take better care of their arm. Have you ever wondered why your arm hurts when pitching? Or wondered what's causing the pain in your elbow or shoulder? Or what you can do about it to prevent it from happening? These days, you can hardly watch Baseball Tonight on ESPN without seeing that another star pitcher has blown out his shoulder or elbow. In fact, roughly 25-30 MLB pitchers have Tommy John surgery every year, and one out of four has had it during his career. Something clearly must be done. And Little League is a great place to start so that young pitchers can learn how to take good care of their pitching arm. 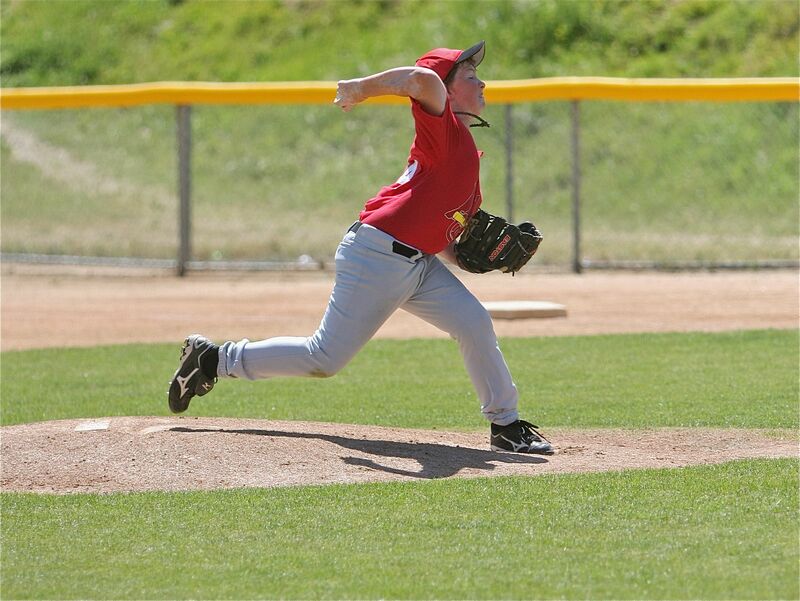 According to the American Sports Medicine Institute (ASMI), the latest research points to overuse, poor pitching mechanics, and poor physical fitness (conditioning) as the principle reasons for pitching arm problems in young pitchers. But it's not limited only to these three factors. Former Chicago Cubs pitching pro Steven Ellis shares little league pitching tips for little league pitchers on preventing pitcher-related injuries in Little League Baseball. Start long tossing 3 times per week up to 120 feet at least 8 weeks (2 months) before the start of the season. While the current maximum long toss distance recommended by the American Sports Medicine Institute for little league pitchers is 180 feet, keep your throwing to 120 feet to start, and then you can build up to 180 feet when the season starts. Don't start throwing off a mound until you've long-tossed for at least 2 weeks. Four weeks is even better. One of the biggest mistakes is getting on the mound too soon. Pitching off a mound at 45 feet puts more stress on your arm than throwing 120 feet on flat ground throwing. Make sure your shoulder is properly conditioned. Pitchers should start performing lightweight dumbbell or tubing exercises to strengthen the rotator cuff 2-3 times per week, 6-8 weeks before the start of the season. The shoulder exercises should then continue through the season. Get good sleep the night before a game. Avoid same day activities that use arm heavily (swimming, tennis, strength training, etc.). Warm up body with some light running, jump rope or jumping jacks. Warm up arm with dynamic stretches such as arm circles. Warm up with gentle throwing before pitching, gradually throwing harder. When pitching more than 1 inning, keep muscles warm when not on the mound or in the batter's box. This means wearing long sleeves on cooler days, or wearing a jacket in the dugout between innings. Always tell your coach if your arm starts feeling tired, sore, or hurts in some way. Never pitch with absolute hardest arm speed—throw at around 80% to 90% of maximum possible. Do not get caught up in competing to be the hardest throwing pitcher with your teammates. Good pitching requires accuracy first and foremost and you lose that when you “overthrow” . . . and you're more likely to get injured. If doing pretend pitches with full throwing motion, always hold something. It could be a baseball or something at least as heavy (towel commonly used). Ice shoulder and elbow for 10-15 minutes after a substantial number of pitches or if arm is sore. Do this just after a game, not during. An arm ice sleeve makes this easy. You want to practice pitching regularly to build up your arm strength for pitching. If you have not pitched for a few months or longer, be sure to work up to your regular pitching speed and pitch counts gradually over the course of a few weeks. Do NOT pitch every day. If you are pitching during 2 games each weekend during your baseball season, you may want to avoid practice pitching altogether, or at most a single practice session in the middle of the week. The idea is to allow time for your arm to recover. Gentle throwing every day is fine and is a good thing to do the day after pitching. On off days, do stretching and exercises designed to build up leg muscles and “the core.” Playing another sport that involves a lot of running will do some of this naturally. Take at least 2 months off each year from any kind of throwing. Ideally, do another sport such as soccer or basketball in fall and winter while avoiding all forms of throwing. Use these general guidelines if you're thinking about coaching youth pitchers and you'll guarantee that you're players have their best chance at success.